Vacation rental - in the center of Cannes. In the heart of Cannes, in a quiet pedestrian street, perfect for Congress. 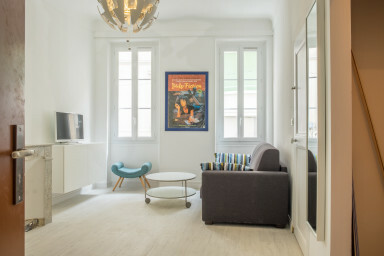 Located in a traditional French house, in the center of Cannes. Only 3 min to Palais des Festivals and less then 10 min to the beach, this is an ideal apartment both for holiday and congress. Walking distance to everything.